Heroin addiction is the most dangerous and damaging addiction in the UK, affecting families and the society. Opiate/heroin accounts for over half (54%) of all UK drug-related deaths. 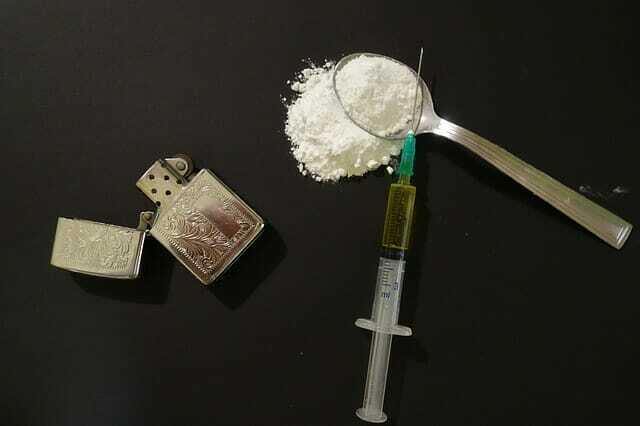 Heroin has a rapid effect, beginning with euphoria and feelings of peace and contentment. It then makes the user 'numb' to hunger and sexual urges, and masks all inhibitions, fears and remorse. The user eventually becomes numb to his or her immediate environment, both internal and external. Unkempt self-image, poor personal hygiene, loss of self-discipline. Heroin is three times more potent than morphine. It is one of the most addictive of all the illicit drugs. 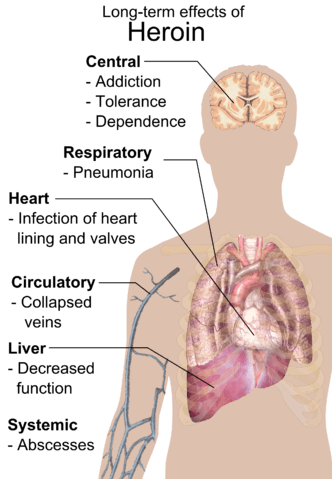 Heroin addiction causes strong physical dependency. This means that users develop strong withdrawal symptoms within few hours of trying to stop using it. They have to use heroin again to stop these symptoms, thereby creating a 'vicious cycle of physical dependence'. The withdrawal symptoms include drug craving, restlessness, runny nose, watery eyes, muscle and bone pain, insomnia, diarrhoea, vomiting, cold-flushes with goose bumps (“cold turkey”), kicking movements (“kicking the habit”) etc. Withdrawal symptoms usually peak 48-72 hours after the last use. They subside after about a week. 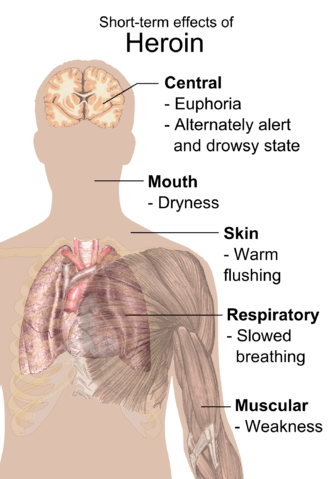 Sudden withdrawal by heavily dependent users who are in poor health could be fatal. There is a type of treatment for heroin addiction called Opiate Substitution Treatment (OST). This involves replacing the heroin with an opiate prescription - Buprenorphine (Subutex) or Methadone. The aim is to stop the heroin use thereby reducing the risk of harm to the user. These patients are however permanently kept on the opiate prescription and most of them still use illicit opioid like heroin on top. Opiate Substitution Treatment is available on the NHS via community drug and alcohol services. The only treatment available for patients that want to completely stop or abstain from heroin and all Opiates is Medically Assisted Detoxification treatment. This will take care of the physical side of the addiction. NICE (National Institute for Clinical Excellence) recommends that medical treatment is supported by intensive psycho-social intervention. 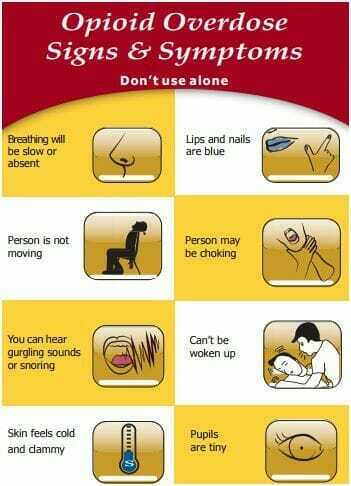 This helps to maintain abstinence. Therefore, heroin addicts need a medical detox alongside intensive residential rehab to overcome the mental and physical addiction to heroin. Rehab Healthcare can recommend you a suitable treatment centre. Such rehab centre is able to carry out the heroin detox and intensive rehabilitation. 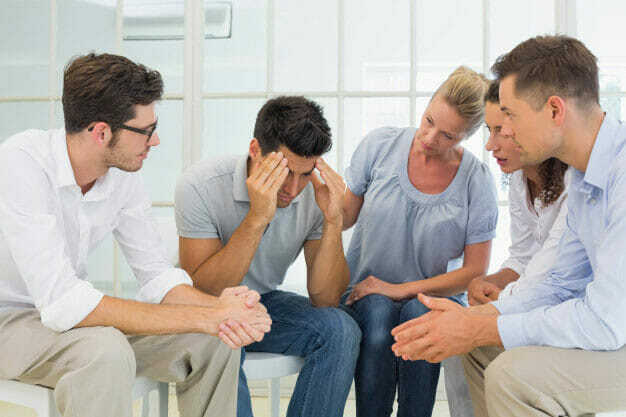 If you or a loved one has an addiction to heroin, call Addiction Rehab Helper now and you could be in treatment within few hours of your phone call.